The construction sector one was of the sectors most severely affected by the economic crisis of 2011, with the construction companies seeking new opportunities in foreign markets, particularly in the Portuguese-speaking countries in Africa. From 2011 to 2014 Portugal went through a process where the economy had to adjust to a financial assistance programme advanced by the European Union and the International Monetary Fund (IMF). The financial assistance programme came to an end in May 2014 and the Portuguese economy has since shown consistently positive signs of recovery. Accordingly, the construction sector has regained growth since 2014, mainly owing to the increase of private investment in the sector and growth of the gross domestic product (GDP). In particular, the recent increase of the minimum wage and the decrease of the unemployment rate contributed to a greater financial capacity of the private sector, which helped to offset the negative effects of public disinvestment. In this regard, the Bank of Portugal has recently stated that the Portuguese economy is expected to continue with its recovering process over 2017–2019, at a higher rate than that recorded in recent years. The growth of the construction sector will play an essential role in the economic recovery process, as it not only attracts foreign investment but also contributes to the increase in GDP. It is also worth mentioning that the construction sector has a very strong link to tourism. Therefore, the fact that Portugal is currently an attractive destination for those looking to travel, live, invest or work abroad, which is also associated with a resurgence of the real estate market, it is safe to conclude that the construction sector will thrive in the near future. With regard to public works, growth has been relatively slow because of the government's unwillingness to allow an increase in debt, combined with political and social pressure to avoid public-private partnership (PPP) models. Nevertheless, by the end of 2017, the government launched an international public tender for the design, construction, financing, operation and maintenance of the Hospital Lisboa-Oriental Complex, which will be subject to a PPP model, meaning that there is room for investment in public works, as well as an opportunity for the recovery of the PPP model, which has been almost abandoned and the subject of strong political disapproval in the recent past. The Strategic Plan for Transport and Infrastructure approved by the former government has earmarked a range of infrastructure projects that could have a positive economic impact on Portugal until 2020. The priority projects include the modernisation of the Portuguese rail freight sector, the development and increase in capacity of major Portuguese ports, a few projects in the road sector deemed essential to complete the road network, and the increase of cargo capacity at Lisbon Airport. The execution and financing of these investments – of an amount exceeding €6 billion – together with the views of the new government on the role of public investment in boosting the economy, might still give rise to many opportunities in the coming years, although execution is, at the time of writing, quite delayed. Project finance and PPP business in Portugal has been quiet in recent years with regard to new deals coming to the market. With a view to meeting the conditions of the EU–IMF financial assistance programme and following the feasibility assessment of major PPP projects, the government, as of 2012, set in motion the renegotiation of certain road PPP contracts by appointing a renegotiation commission to negotiate the relevant contracts on its behalf. The main goal of the renegotiation process was to reduce public expenditure during the life of those contracts to bring sustainability to the Portuguese road sector. To this end, some development projects were reduced in their scope, permitting savings not only in the construction works and associated capital and financing costs, but also in operation and maintenance spending in the future. Moreover, in relation to the projects already completed, the renegotiation process encompassed the reduction of service requirements and availability payments and, in one specific case, the replacement of availability payments with a traffic risk-based regime together with a minimum revenue assured by the contracting authority to the extent required to service debt under the financing contracts. Renegotiated contracts will also contemplate a set-off mechanism against toll revenues for the benefit of the concessionaires and an upside-sharing mechanism to encourage concessionaires to promote traffic in their concessions. Those amendments to the concession contracts, taken together, represent a substantial modification to the original risk allocation between the contracting authority and the road project companies. The renegotiation process was completed in relation to most of the road concessions included in the package, although some renegotiations are still ongoing, with the final results expected shortly. The government has also appointed negotiation commissions to renegotiate the urban rail PPP contracts and the port terminal concession contracts. The negotiations are currently ongoing, with results being expected in a near future. With respect to the health sector, some PPP-based contracts will soon come to the end of their terms; therefore, renegotiation with the private partners has commenced , with the maintenance of the PPP model in these hospitals or, conversely, their return to public management, being currently under discussion. It should be stressed that the contractual structure adopted in the PPPs in the healthcare sector in Portugal was implemented in a particularly innovative way, by including the provision of the healthcare services in the scope of the PPP. For that purpose, two concessionaires were incorporated in some PPP projects in the healthcare sector, to ensure the segregation of liabilities and remuneration: one entity was responsible for the design, build, financing, maintenance and operation of the hospital facilities for a 30-year period and in a traditional PPP model, while the other entity was responsible for the provision of the healthcare services under a 10-year contract (these being the PPPs under renegotiation at the time of writing). However, the PPP of the Hospital Lisboa-Oriental Complex has not been implemented as described above, as the design, construction, financing, operation and maintenance of the hospital will be carried out by a private entity and the provision of healthcare services will be carried out by the Portuguese National Health Service (NHS) under a more traditional model. The innovative solution regarding the risk allocation adopted in the PPP projects in the healthcare sector has proved to be favourable for the public partner, allowing for significant savings for the state budget, when compared with traditionally managed NHS hospitals. With respect to the construction industry, the tourism sector's enhancement in recent years has proved to be vital in the renovation of main cities' historical centres, with a positive impact on small and medium-sized construction companies. Also, in 2013, the government and the Portuguese Construction and Real Estate Confederation, representing Portuguese construction companies, signed the Commitment towards Sustainable Competitiveness of the Construction and Real Estate Sectors with the aim of creating new jobs and skills, improving access to funds and promoting private investment, promoting urban regeneration and the real estate lease market, and supporting environmental sustainability in the sector. the enactment of a Portuguese Technical Building Code to harmonise several acts into a single piece of legislation. Many of the announced competitiveness measures have already been completed while others are still in progress. Among the former is the exceptional and temporary (seven-year) regime approved by the government in 2014, simplifying procedures and requirements2 for urban regeneration works, which applies mainly to buildings or flats for housing purposes that are 30 years old or more, or located in urban regeneration areas. The execution of the Commitment is monitored by the Construction and Real Estate Institute. With respect to works activities, a new legal regime was recently enacted, introducing new rules on access to public and private works activities. Other than the power projects (where one can come across the build-own-operate-transfer model), most project finance deals closed to date in Portugal are based on concessions granted by a governmental authority or a municipality and which typically follow a build-operate-transfer or design-build-finance-operate structure. There is no precedent in Portugal of project financings making use of a build-operate-lease structure. The Companies Code contemplates two forms of limited liability companies that may be used for the purpose of developing projects in Portugal. These corporate forms are the corporation (SA), whose capital is represented by shares, and the limited company, the share capital of which is represented by immaterial participations (quotas) evidenced by registration with the commercial registry. The SA is the type of company typically chosen; the rationale being that an SA has a more complex management structure and decision-making mechanism (compared with a limited company) and is generally subject to more stringent corporate governance requirements – both as to management and auditing of its activities. This combination of factors is generally seen as ensuring a higher level of transparency and allowing a stronger degree of control of the activities of the project company by the stakeholders. Other important features of SAs are the perceived higher liquidity of their equity participations (shares) when compared with that of limited companies, owing to the less restrictive transfer formalities to which they are subject and their ability both to raise funds in the capital markets and to enable enforcement (including foreclosure) by lenders. With respect to the construction contractor, the corporate form generally used where the same is formed by a group of construction companies is the agrupamento complementar de empresas (ACE). The ACE is a joint and several joint venture incorporated and registered with the commercial registry and subject to a specific legal regime. The underlying contractual framework of a project finance transaction in Portugal traditionally includes a concession contract or a licence giving the project company the right to carry out the project, a shareholders' agreement to regulate the relationship between the sponsors or project company's shareholders and an equity subscription agreement, a set of finance documents and certain major commercial contracts. The finance package usually comprises a commercial bank credit agreement (as well as the European Investment Bank (EIB) credit agreement and an intercreditor agreement whenever the EIB is also providing finance to the project), an accounts agreement, a forecasting agreement, security documents and direct agreements between the lenders and the contracting authority and the major project parties, all in a form consistent with international market standards. Among the major commercial contracts, there is typically a construction contract and an operation and maintenance contract. Supply and offtake agreements may also be entered into in connection with the project, depending on the nature of the project and the sector involved. As regards the project financings closed in Portugal in the 1990s and early 2000s, it was generally accepted that, given the need to adapt the legal structure of the facility agreements to international syndication, the whole financing package other than the security documents had to be governed by English law, while the project documents, notably the concession contract, were subject to Portuguese law. That ceased to be the case from the mid-2000s onwards, at which point the project financiers active in Portugal had become sufficiently comfortable with Portuguese law and, therefore, most finance documents executed thereafter are governed by Portuguese law, notwithstanding that they closely follow the structure of a typical English law project finance documentation package. In the vast majority of the Portuguese project finance transactions closed to date, the concession-based construction contracts used do not follow any standard form, such as those issued by the International Federation of Consulting Engineers (FIDIC), the Joint Contracts Tribunal or the Institution of Civil Engineers. Hence, the form of construction contract used in each case has varied depending on the sector of industry at stake or the sponsors involved. The standard forms of construction contracts issued by the FIDIC or adjusted FIDIC-based contracts have, however, been used in Portugal for large power (including renewable) project deals where the contractor is a foreign entity. 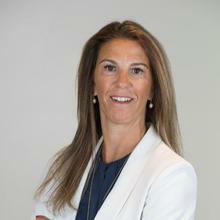 On the other hand, Portuguese construction companies, while turning their attention to emerging markets in Africa, in particular the Portuguese-speaking countries, have increasingly made use of contractual forms issued by FIDIC, which prove to function as contractual guidelines enhancing legal certainty for foreign investors. The concession contract allocates the relevant project risks between the contracting authority and the project company. The risks that remain with the contracting authority are covered by the financial balance mechanism, which is a key concept in all concession-based project finance transactions in Portugal. If a financial balance event arises causing a deterioration in the levels of the project ratios, the contracting authority agrees to compensate the project company with a view to restoring the financial balance of the concession. Typical financial balance events include unilateral variations by the contracting authority, force majeure events, specific change-of-law and construction delays caused by the contracting authority. Traditionally, archaeological and ground risks were borne by the contracting authority. That was, however, not the case in the PPP1 Poceirão–Caia high-speed rail project, closed in May 2010 (which was cancelled as part as the austerity-led review of PPPs), and in the PPP hospital projects, where that risk was partially assumed by the project company and transferred by the latter to the contractor. The project company generally passes on to the contractor all design and construction obligations, liabilities and risks under a construction contract that is fully back-to-back with the concession contract. The contractor usually undertakes to perform the design and construction obligations on a turnkey and fixed-price basis and, hence, it bears the risk of price escalation of the material, equipment or workers. In some cases, the contractor is allowed to revise the price annually to reflect inflation. Other risks that are transferred by the project company to the contractor under a classic concession-based construction contract include the delay and completion of the works, approval risk, expropriation (where the cost and delivery risk is passed on to the project company by the contracting authority), the risk of damage to the works and defects during the defects liability period. Under general Portuguese law, the contractor is liable to the project company if it breaches its obligations under the construction contract. All damages arising from such a breach must be covered, including all direct damages and loss of profit but excluding indirect or consequential damages. Portuguese law expressly forbids prior general waivers of the right to compensation (although specific waivers after the occurrence of the fact giving rise to the right to compensation are permitted). It is possible, however, for the parties to agree an amount of liquidated damages for breach of obligations, provided that it represents a reasonable estimate of the damages that may result from such a breach. Caps on liability, in line with international practice. Portuguese project contractors historically have had unlimited liability under the contracts. In recent years, caps on liability have been introduced in construction contracts and are considered generally admissible except in case of wilful default, in line with the commercial practices in other countries. In contracts where a liability cap is foreseen, the same is often equivalent to the contract price and, since no restrictions are made as to the types of damages considered for compensation purposes, the relevant legal provisions will apply. In recent projects, contractors have successfully demanded the introduction of tighter liability caps and the exclusion of loss of profit suffered by the project company. Public interest may also constitute grounds for termination of the concession contract by the contracting authority, in which case the contracting authority shall compensate the project company for all damages arising (which may include loss of profit). The construction contractor may also be compensated on the basis of the back-to-back principle. Some concession contracts set out the method for calculating the damages due to the project company in the event of termination on grounds of public interest; this calculation usually takes into account the status of construction. Other political risks, such as war, civil disturbance or strikes may be considered as force majeure events and, therefore, the project company shall be relieved from its obligations under the concession contract to the extent affected by the relevant force majeure event. Force majeure events may trigger the financial balance mechanism and, hence, the project company (and consequently, the construction contractor) shall be compensated. In cases of prolonged force majeure or if the restoration of the financial balance of the concession proves too onerous, the concession contract may be terminated. Changes in law may also be treated as a political risk. Only a specific change in law entitles the project company to financial rebalancing of the concession. The risk of change in general law is typically assumed by the project company. The two main types of security that can be created under Portuguese law are mortgages and pledges. Mortgages will entitle the beneficiary, in the event of a default, to be paid with preference to non-secured creditors from the proceeds of the sale of immovable assets or rights relating thereto or of movable assets subject to registration (such as automobiles, ships, planes). Pledges will confer similar rights to those created by the mortgages but are created in respect of movable (non-registered) assets or credits. Portuguese law does not recognise the concept of a floating charge. Portuguese law does not permit the creation of security over future assets and, therefore, promissory agreements and assignments in security are entered into to overcome this hurdle. However, since Portuguese law does not recognise the concept of assignment by way of security as it exists in most (if not all) common law jurisdictions, the instrument used is a true assignment of rights, with the occurrence of an event of default being either a condition precedent to the assignment or a condition subsequent to the authorisation for the exercise of rights already assigned by the borrower. Also, Portuguese law does not recognise the concept of a security trustee, and, as this issue has not yet been subject to judicial revision, there is some uncertainty as to whether a security agent might enforce security interests on behalf of the collateral takers, unless they all prove their capacity as creditors. Also, Portuguese law does not allow for remedies other than outright sale, other than in the case of financial pledges where appropriation of financial collateral is permitted on enforcement of the pledge, provided that the parties have agreed a commercially reasonable mechanism for evaluating the price. Financial pledges may be granted over cash on bank accounts or financial instruments (including shares but not quotas in Portuguese limited liability companies) and, more recently, credits over third parties. Portuguese project finance documentation generally includes direct agreements between the lenders and the contracting authority and the lenders and any major contractors. All direct agreements contemplate step-in rights in favour of lenders, which may be exercised upon the occurrence of certain events: default of the concessionaire under the underlying contracts and, in certain cases, default of the concessionaire under the finance documents. The creation of security interests over assets located in Portugal (including share pledges) attracts stamp duty, levied on the secured amount. Stamp duty shall not be payable in the case of security interests that are ancillary and created simultaneously (even if contained in a separate notarial deed or agreement) to a loan provided that the loan has already been subject to a similar taxation (no duplication of tax applies). Shareholders are generally required to provide on-demand bank guarantees to guarantee their equity subscription and other funding obligations. Standby equity commitments to fund general investment, operational costs overruns or loss of revenues are often also supported by on-demand bank guarantees. In health sector PPPs, shareholders have been requested to provide a corporate guarantee to guarantee, in the proportion of their shareholding in each project company (the ClinicCo and the InfraCo) and up to a certain amount, any lack of funds in the project and breach of the obligations of the project company. 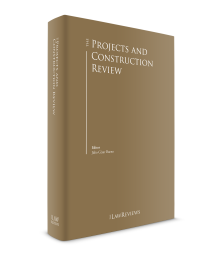 In Portuguese projects, the contractor is usually required to provide a performance bond to ensure the fulfilment of its obligations. In concession-based projects, not only the concessionaire has to provide such a performance bond under the concession contract, but the construction contractor and the operations and maintenance contractor also have to deliver performance bonds under their respective agreements. Most frequently, performance bonds are provided by means of irrevocable on-demand bank guarantees. In addition, concession contracts foresee the obligation of the project company to insure the works for their reinstatement value. That insurance obligation is commonly transferred to the contractor under the construction contract to the extent that the insurance relates to the activities performed thereunder. Alternatively, the contractor may partially bear the costs of the insurance policies taken out by the project company. Any parties who are responsible for the design of the works (including contractors who are engaged under design contracts) will be expected to maintain professional indemnity insurance in respect of their design liabilities. Project bonds or monoline structures for project financing, although not common in Portugal until recently, have started to be used to finance some ongoing projects, particularly in the context of refinancings where availability periods and capex controls are no longer applicable. The provisional legal regime that entered into force on August 2012, allowing for an early phased release of performance bonds provided by contractors and subcontractors under public works agreements, is no longer in force, except for those agreements entered into up until 1 July 2016. Under this regime, contractors and subcontractors can obtain an early phased release one year from provisional reception of the works if an inspection confirms that there are no defects for which the contractors or the subcontractors are responsible. The enforcement of mortgages shall be made through court proceedings and the proceeds of the relevant sale shall be paid to the mortgagee (after payment of any preferential claims). The enforcement of pledges may be made through court or out-of-court proceedings and the proceeds of the relevant sale shall be paid to the pledgee. Alternatively, the financial pledges may also be enforced by appropriation of the relevant assets. Appropriation of the asset is not available to mortgagees or pledgees under pledges that are not financial pledges. Should the lenders be willing to acquire the secured assets, they will need to bid in the judicial sale along with, and with no preference over, any other parties interested in the purchase of the property. Insolvency of the Portuguese companies is governed by the Portuguese Insolvency Code. The debtor will be insolvent whenever its liabilities exceed its assets or if the debtor is unable to meet its financial obligations as they fall due. Insolvency proceedings may be filed by the debtor or by any of its creditors. However, the directors of a company have an obligation to file for the debtor's insolvency within 30 days of the date on which they become aware or should have become aware of the insolvency, and failure to do so may give rise to liability. The court assumes the key role of ensuring compliance with the legal rules governing the insolvency proceedings, with particular responsibility in the assessment of whether the debtor is insolvent or not, in declaring the debtor's insolvency and in confirming the lawfulness of the insolvency plan approved by creditors. The court's declaration of the debtor's insolvency and the appointment of the insolvency administrator must be published on the Citius website (the Portuguese judiciary online platform, which includes an online section for insolvency notifications) and registered at the debtor's commercial registry. All creditors have to file a claim by submitting to the insolvency administrator a formal written claim within 30 days (or less if the court rules so) as from the notice publishing the declaration of the debtor's insolvency. Claims submitted by creditors that have been accepted by the insolvency administrator will be paid in accordance with the payments plan approved by the creditors or, in the event of liquidation of the debtor, on a pro rata basis, depending on the proceeds resulting from the sale of the insolvent assets, and provided that insolvent estate's debts have been paid (the proceeds from the sale of the secured assets may be used to pay insolvency debts up to a limit of 10 per cent of the proceeds from the sale). After the declaration of insolvency, the company is controlled by the insolvency administrator. The administrator can perform all acts and carry out all transactions within the ordinary course of business to allow the continuation of the company's trading. The directors of the company will remain in office; however, they cannot receive any remuneration. Taking into consideration the difficult economic environment, a new procedure was enacted to allow debtors in pre-insolvency situations or in difficult economic situations (unable to secure any credit or lacking liquidity) to enter into negotiations with their creditors for the revitalisation of their businesses (the Special Revitalisation Process or PER). This procedure may be of relevance to creditors since any capital granted to the debtor under the PER shall benefit from a statutory creditor's general preferential claim to be ranked first, even above the workers' statutory general preferential claims. Additionally, a new legal regime to allow the extrajudicial recovery of companies and individual entrepreneurs was recently enacted and entered into force on 2 March 2018. The regime applies to negotiations and restructuring agreements involving debtor entities, provided that the entities comply with certain requirements. The regime is voluntary, meaning that parties shall only apply their legal provisions to the negotiations and restructuring agreements if they decide to. In addition, the debtors can convene all or only a few of their creditors. Moreover, the regime establishes a negotiation protocol, which shall be signed by the debtor and the creditors representing at least 15 per cent of the liabilities considered subordinated under the Portuguese Insolvency Code. As long as negotiations take place, any creditor can join the protocol. A new regime concerning environmental impact assessment (EIA) for each project was approved by Decree Law 151-B/2013 of 31 October 2013, pursuant to which any application for an environmental approval must enclose a detailed EIA, the procedure for granting the relevant environmental impact decision (DIA) implying a coordinated effort between a range of entities for better assessment of the environmental risks associated with each project. With respect to PPP and since the previous PPP Decree Law dated 2003,4 procurement procedures may only be launched and awarded after approval of the relevant DIA and once the relevant environmental and urban planning licences and permits have been obtained, to ensure an effective transfer of execution risks to the private partner. Depending on the sector of industry in question, a project may also be subject to environmental licensing under the new industrial emissions legal framework, approved by Decree Law 127/2013 of 30 August 2013. The environmental licence (which is required, in particular, for industrial projects) must be obtained before operation commences and must be successively renewed during the entire period of the plant's operation. Furthermore, in the context of the EU emissions trading system, for projects in certain industrial sectors and meeting certain conditions or thresholds, the operators must hold a permit to emit greenhouse gases, and be the holder of emission allowances. Other industrial and construction licences and permits may be required depending on the type and specific conditions of each project to be implemented. Most financial institutions operating in the project finance market have already subscribed to the Equator Principles, reflecting the growing importance of environmental issues in Portuguese project finance deals. In general terms, financial institutions are not responsible for any socio-environmental issues arising in connection with a project transaction. Nevertheless, such liability issues may apply to the lenders in a step-in scenario, particularly if the concession contract is transferred to them. Decree Law 111/2012 of 23 May 2012 revoked Decree Law 86/2003 of 26 April 2003, and establishes the general rules applicable to any PPP launched by the Portuguese state. It introduces several amendments to the previous PPP regime, in particular regarding the preparation, launch, execution and modification of PPPs. The main purpose of the new legal framework is to reinforce supervision and scrutiny of, and consistency of decision-making by, the public partner, and contemplates the creation of the Technical Unit for Monitoring Projects, which centralises and carries out all main tasks related to the preparation and execution of PPP contracts. This new legal framework continues to take into account, as was the case under the previous regime, the need to accommodate the type of expenditure within budgetary regulations and requires the preparation of economic and financial surveys to confirm the figures for the public sector comparator, and establishes general procedural rules applicable to any type of PPP contract. The specific framework for PPPs in the health sector, set out in Decree Law 185/2002 of 20 August 2002, is still in place. That piece of legislation, as amended, governs the development of PPPs for the construction, financing, operation and maintenance of healthcare units forming part of the NHS. An important feature of these PPPs is that they may envisage the private partner not only managing the hospital facilities but also providing clinical services as part of the NHS. When both managing facilities and clinical services provision are foreseen, two separate project companies must be incorporated. It should also be noted that Decree Law 90/2009 of 9 April 2009 and Decree Law 194/2009 of 20 August 2009, as amended, established rules applicable to PPPs in connection with municipal water supplies and water and wastewater treatment. At state or multi-municipal level, the restructuring of the water utility company that was launched in 2013 – giving rise to a number of regional concessionaires with a view to permitting (partial) privatisation – was reversed by the current government, which is returning to the traditional public investment and public management model for multi-municipal water supplies and water and waste-water treatment. In line with the above-mentioned Strategic Plan for Transport and Infrastructure for 2014 to 2020, and taking into account the limitations of the new European funds framework, some of the infrastructure projects in the pipeline are likely to be launched and executed under a PPP model (the use of which was previously suspended owing to the public deficit). The recent economic crisis in Europe has made it necessary to reform public procurement rules, first to make them simpler and more efficient for public purchasers and companies, and second to provide the best value for money for public purchases, while respecting the principles of transparency and competition. In February 2014, the European Parliament and the Council adopted Directive 2014/25/EU (procurement in the water, energy, transport and postal services sectors), Directive 2014/24/EU (public works, supply and service contracts) and Directive 2014/23/EU (concession contracts), which brought major changes to the European public procurement regime. These changes have the aim of (1) promoting environmental policies, as well as those governing social integration and innovation, (2) improving the access of small and medium-sized businesses to public procurement markets, (3) implementing stronger measures to prevent conflicts of interest and corruption, and (4) creating new simplified arrangements for social, cultural and health services listed in the Directives. In light of the above-mentioned reform, it was necessary to transpose the new European Directives into Portuguese law and, therefore, amend the Portuguese Public Procurement Code approved in 2008. The new Portuguese Public Procurement Code entered into force on 1 January 2018, revoking the previous Public Procurement Code and putting forward several modifications to the existing legal framework, such as (1) establishing different rules on the evaluation of tenders, as it considered that the award criterion is that of the most economically advantageous offer, (2) reducing the value of the performance bond to a maximum of 5 per cent of the contract price, and (3) adopting measures to prevent conflicts of interests and corruption by prohibiting certain holders or agents of a public administration body to participate or intervene in administrative procedures in which they have an interest. The former Portuguese Procurement Code set out several procedures, which were not amended or revoked by the new legislation, for the procurement process applicable to administrative contracts, including those to be entered into in connection with PPP projects: the direct agreement, the public tender, the limited tender by pre-qualification, the negotiation procedure and the competitive dialogue. In contrast to the previous legal framework, the PCC does not automatically require a public tender for public works concessions or public services concessions – the awarding entity is entitled to choose between the launch of a public tender, limited tender by pre-qualification or a negotiated procedure. In each procedure allowed by the former Code, administrative principles of equal treatment, legality, transparency and competition are duly reflected in the corresponding regulation. Moreover, these principles are directly applicable to each procedure and may be invoked by any interested party. If an interested party considers that an act under the procurement procedure does not comply with applicable regulations and principles, it may submit a claim directly to the awarding entity but also to a court. In such cases, the interested party may ask the court to declare the suspension of all subsequent acts in the procurement procedure by means of a temporary injunction, to ensure that its rights are not irreversibly threatened. Compliance with all legal conditions and procedures is subject to validation by the Court of Auditors. After the execution of a PPP agreement by any public entity, the Court of Auditors will verify and confirm whether all legal requirements have been fulfilled. The granting of the approval by the Court of Auditors is a condition for the contracting authority to make any payments under the contract; the contract may, however, enter into force prior to the validation and all rights and obligations contained therein may be performed, except for public payments. However, if the total price of the contract exceeds a certain threshold, which is currently €990,000, all rights and obligations resulting thereunder would enter into force only after the granting of the approval of the Court of Auditors. Foreign direct investment is not restricted under general Portuguese law. However, authorisation from the regulator is required in relation to regulated sectors such as energy, water and waste management, telecoms, postal services, railways, commercial aviation and financial services. Restrictions may apply under the Law of Money Laundering and Terrorism Financing, which transposed the EU money laundering regulations into Portuguese law. There may also be temporary embargo situations applying to persons or entities residing in non-EU Member States. There are no currency controls under Portuguese law and money can be freely transferred into or out of the country. In addition, there are no restrictions on the remittance of profits or investments abroad. Under Portuguese tax law, any income obtained in Portugal by non-resident entities, including dividends of shares in a Portuguese company or interest on loans advanced to a Portuguese borrower, will be subject to withholding tax at the applicable rate. The applicable rate is either the general withholding tax rate for dividends and interest payable to non-resident entities5 or the rate otherwise applicable under any relevant double taxation agreement. The Portuguese judicial system is essentially divided into the ordinary and the administrative jurisdictions, the first being formed by the judicial courts, which cover all civil and criminal matters, and the latter by the administrative and tax courts, which are responsible for resolving any administrative or tax matters. There are no specific courts or tribunals in Portugal dealing with project finance transactions or construction contracts and, therefore, any disputes arising therefrom will be resolved by the judicial courts or the administrative courts, depending on the nature of the matter in question. Under Portuguese law, parties may generally elect the jurisdiction that will apply to their contracts or to resolve a particular dispute, provided that, inter alia, the contract or the dispute involves rights that can be freely determined by the parties and does not relate to a matter within the exclusive jurisdiction of a court other than the chosen court. There are no other specific jurisdictional issues that need to be considered by foreign project investors. Major project contracts typically provide that the parties may resort to arbitration for the resolution of any disputes under the same. Standard arbitration clauses refer to the Portuguese Law on Arbitration for the definition of the rules relating to the composition of the arbitration court and the conduction of arbitration proceedings. Where international contractors are involved, the parties often chose to apply the rules of international centres such as the International Chamber of Commerce, the London Court of International Arbitration and the United Nations Commission on International Trade Law. Portugal adhered to the 1958 Convention on the Recognition and Enforcement of Foreign Arbitral Awards (the New York Convention) in 1994. Arbitration awards that are not covered by the New York Convention may still be recognised and enforced in Portugal provided that they comply with certain legal requirements and have been submitted to a Portuguese court for review and confirmation. In line with international market practice, finance contracts generally refer the disputes arising thereunder to the jurisdiction of the judicial courts. In March 2012, a new Law on Voluntary Arbitration (Law 63/2011 of 14 December 2011) entered in force. 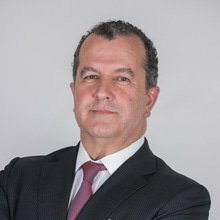 The approval of a more modern arbitration law is intended to give a new boost to arbitration in Portugal and to facilitate the recognition and enforcement of foreign arbitral awards, in a context where arbitration is becoming a valid alternative and, therefore, consistently replacing the judicial courts in Portugal. The main innovations set out in the new arbitration rules are intended to present Portugal as a valid option when electing the seat of arbitration or when choosing the jurisdiction for the recognition and enforcement of arbitral awards. In recent years, litigation and arbitration has increased considerably, mainly in major PPP road concession projects, and relevant arbitration awards were given in this sector in 2017. There is growing evidence of recovery in the Portuguese economy since the formal conclusion of the three-year EU–IMF adjustment programme in 2014. The construction sector, one of the most severely affected by the sovereign debt crisis of 2011, has shown some positive signs over the past year. In fact, public and private investment in construction demonstrated very positive developments in the first months of 2017, which means that growth in production can be expected in this sector as well as a recovery in the segment of non-residential buildings and civil engineering. Additionally, the dynamism of the real estate market has and will continue to contribute strongly to the recovery of the construction sector. As part of the Portugal 2020 programme, a partnership agreement entered into between Portugal and the European Commission, a considerable amount of funding has already been approved for investment in construction projects (mainly in the airport sector and urban regeneration). In addition, the new government has shown political willingness to provide new opportunities for the construction industry and, hence, better performance in the construction sector is anticipated in the coming years. A clear example of this is the government's decision to launch an international public tender for the design, construction, financing, operation and maintenance of the Hospital Lisboa-Oriental Complex, which will be carried out under a PPP model. Furthermore, the approval of the Strategic Plan for Transport and Infrastructure, as mentioned above, is expected to enhance a significant number of projects, whether using a PPP model or not. Other opportunities may arise from the government's recent focus on developing the green economy and green growth in Portugal, in relevant areas such as climate and energy (including increasing the interconnections between national electricity systems in the EU), water and waste management, biodiversity and sustainable cities. The government, as well as private entities, should also utilise the development of the tourism sector in Portugal and seize the opportunity to invest in the construction area. For example, new construction projects (of reduced size) are beginning to appear throughout the country. In fact, CBRE estimates that in 2017 more than 8,200 new houses were completed in Portugal, an increase of 13 per cent compared to the previous year. Finally, the conclusion of the renegotiation of the PPP road contracts and the development of other negotiation processes in the urban rail, ports and health sectors are expected in the near future. Alternatives to traditional project finance, or complementary ways of financing, may result in new opportunities for investment in Portugal. Notable in this context, along with the increasing use of project bond or monoline structures, is the fact that the private equity legal regime was recently subject to extensive amendments with the enactment of Law No. 18/15 of 4 March, which partially transposes Directive No. 2011/61/EU of 8 June 2011 on Alternative Investment Fund Managers, and Directive 2013/14/EU of 21 May 2013. 1 Manuel Protásio and Teresa Empis Falcão are partners at Vieira de Almeida. The authors wish to thank Frederico Quintela for his contribution to this chapter. 2 Decree Law 53/2014 of 8 April 2014, as amended. 3 Namely, the contractor will only receive compensation for any of the relevant events to the extent the project company is compensated for those same events under the concession contract. 4 Decree Law 86/2003 of 26 April 2003. 5 In the case of companies, currently 25 per cent or 35 per cent if investment income is paid or made available to accounts opened in the name of one or more holders acting on behalf of one or more unidentified third parties, unless the beneficial owner of the income is identified.